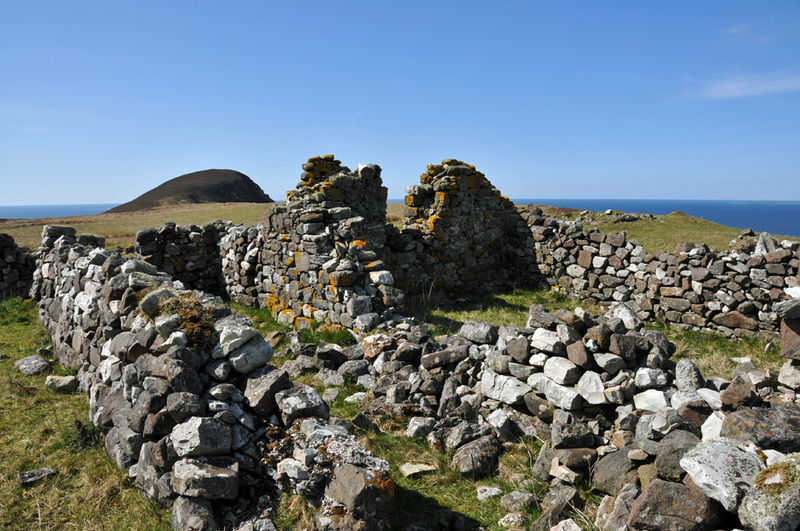 One of the many abandoned crofts, this is at Bolsa in the north of Islay. Mala Bholsa can be seen in the background. This is likely where Mary McNiel (born 1814 at Dunoon) lived with her husband John McKellar (born 1816 at Benachuillan, Rothesay, Isle of Bute) and their children, and where she died on 3 Feb 1855. John died at Easter Ellister, Portnahaven, Islay in 1892.